The IrisCup distinguishes itself from other medical-grade silicone menstrual cups by using only medical platinum silicone rather than peroxide silicone. Platinum silicone has a smoother surface that resists bacteria growth and protein buildup, making it safer and easier to clean even than other silicone menstrual cups. 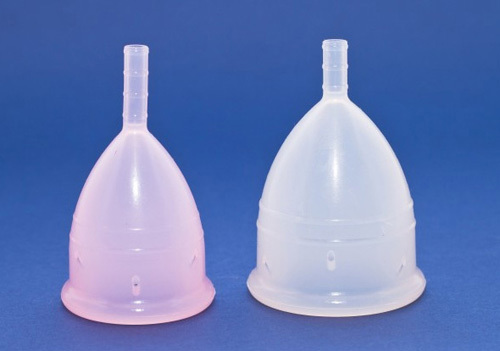 It has the familiar bell-shape of many menstrual cups with two ridges around the outside and a long, hollow, ridged stem that can be trimmed if necessary. It comes in a small and a large size so you can choose the one that fits you the best. They do have a smaller capacity compared to competitor cups. It is considerably cheaper than some of the other menstrual cups, and for a higher silicone grade which makes it a great buy!